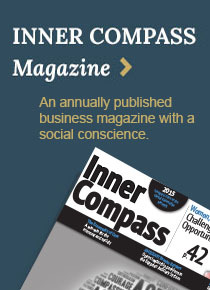 The origin of the International Association of Jesuit Business Schools (IAJBS) can be traced back to the early 1990s when Tom Bausch, Dean of Marquette University's College of Business Administration, and John Wholihan, Dean of Loyola Marymount University's College of Business Administration, attempted to form an international network of business deans from Jesuit schools. 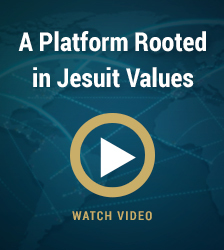 Bausch and Wholihan hoped that the shared mission and values of Jesuit business schools would produce global partnerships and a synergistic exchange of ideas and resources. In 1993 Bausch and Wholihan organized the first international forum of business deans, held in Barcelona, Spain. The forum would be repeated in subsequent years, although the theme of each gathering and its location changed. By 1995 low attendance by the business deans as well as the need to develop internationally-minded faculty led the network to shift its focus from "Deans" to "Schools." The IAJBS was formally established through a memorandum of understanding in 1995, with John Wholihan serving as president and Tom Bausch acting as executive director. The basic mission of the IAJBS remained unchanged throughout the years: to facilitate communication and the exchange of ideas and resources among Jesuit business schools with the common goal of preparing students, formed in the Ignatian tradition, to be leaders in the global economy.